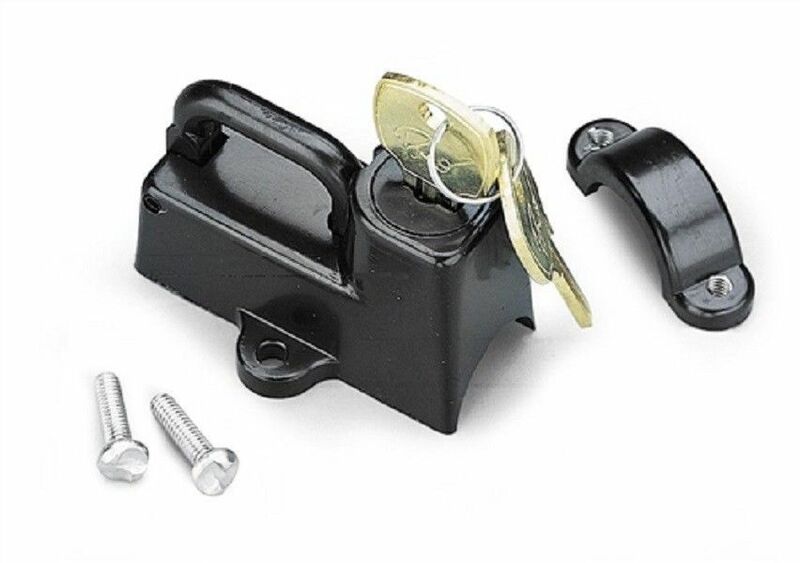 New Motion Pro black universal mount helmet lock. Tamper proof 1-way screws and 2 keys included. Helmet rings lock in place with solid tubular lock.